Motorcycle accidents at intersections controlled by stop signs are not as common as left turn accidents without a stop sign but drivers frequently fail to see stop signs or only slow down without stopping. We can usually prove the driver of the car was 100% at fault for causing the motorcycle accident when the car had a stop sign. Do I Have a Case If I Ran a Stop Sign? When the motorcycle runs a stop sign, we can often recover money for the injured motorcyclist! In a motorcycle accident in Brookhaven, Suffolk County, Long Island, NY, our client was a motorcyclist who admitted running a stop sign and a witness saw the motorcycle run the stop sign. Even though the motorcycle ran the stop sign, we were able to settle the case for the motorcyclist by getting the car’s insurance company to pay their entire insurance policy! This photo shows our client’s motorcycle which was struck by a car when the motorcycle ran the stop sign. 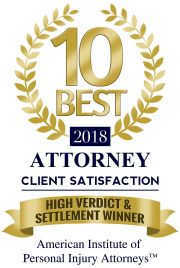 The motorcyclist called other personal injury lawyers but they declined to represent him for his injuries in the motorcycle accident because he ran a stop sign. 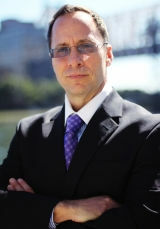 Not wanting to give up, he searched on Google for Long Island motorcycle attorneys and found our website. We took his case immediately without hesitation. 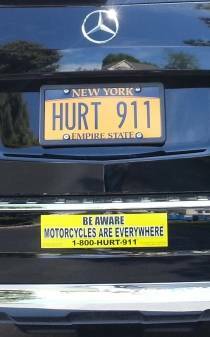 The motorcyclist was lucky he called 1-800-HURT-911 because not only did we get the entire insurance policy for him but we got even more money for him! The motorcyclist purchased a brand-new motorcycle with a bank loan obtained by the motorcycle dealer. He purchased motorcycle insurance with Progressive through an app on his phone in front of the motorcycle salesperson but he accidentally failed to purchase collision coverage and the dealer did not notice it. His motorcycle was totaled in the motorcycle accident and the bank now wanted to be paid in full. Because he ran a stop sign, the insurance company for the car refused to pay for the motorcycle. When we settled his motorcycle injury claim, we also got some of the money for his motorcycle. The best part for him is that we don’t charge a legal fee to represent motorcyclists for motorcycle damage. If you were injured in a motorcycle accident but you ran a stop sign, and other personal injury lawyers won’t take your case call us! If your motorcycle was struck by a car running a stop sign, we want to prove the driver was 100% at fault!